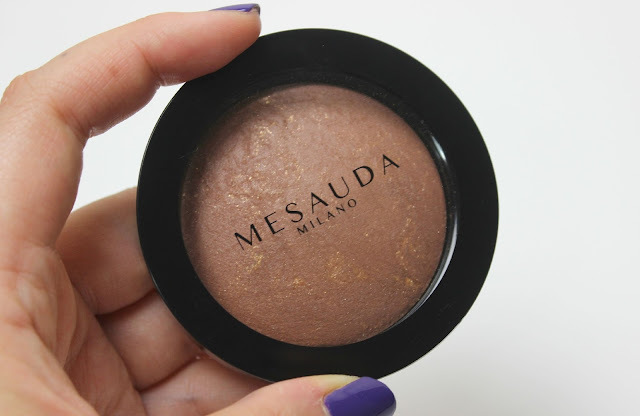 The most recent bronzer to join my beauty stash is the Mesauda Milano Desert Sand Bronzer which is available in 4 different shades; Bronzo D'Oriente, Polvere D'Arabia, Sabbia Sahariana and the shade I have been trying, Terra D'Africa. Created from a blend of swirling pigments to give the bronzer a marled effect, the Desert Sand Bronzer is what I would class as a baked bronzer. As well as providing a touch of warmth and colour, it provides a hint of luminosity which gives skin a radiant glow. As you can see for yourself, the bronzer is really rather beautiful and has flecks of golden pearl pigments flashing through a predominately matte formula, which when lightly swirled together give a warming yet illuminating finish. I do prefer deeper, warmer bronzers, as I feel they work with my complexion much better than standard bronzer shades (and is usually why I opt for high-end bronzers over high-street, which have more shade variety), but I have to admit Terra D'Africa is a touch too dark for my complexion. On darker skin tones I think this would be absolutely lovely, adding the perfect touch of warmth with a lovely glow and a subtle gold undertone that gives a lovely radiance to skin. Against my own skin tone it's unfortunately a touch orange and although it'd probably work if I was to pop some fake tan on, it's not a shade I could get away with on an everyday basis. From the look of the other shades online, I'd say Terra D'Oriente or Polvere D'Arabia would be a better shade for olive complexions, which are the two paler shades in the range, with Terra A'Africa being the darkest. That said, I do love the formula. The powder itself is soft to the touch and very easy to apply and blend, without the mess of unnecessary fall out. It's very decent in size too, with a total of 7g of product which is pretty darn decent for a bronzer. I also really like the packaging, which is simple yet sleek and very light-weight. 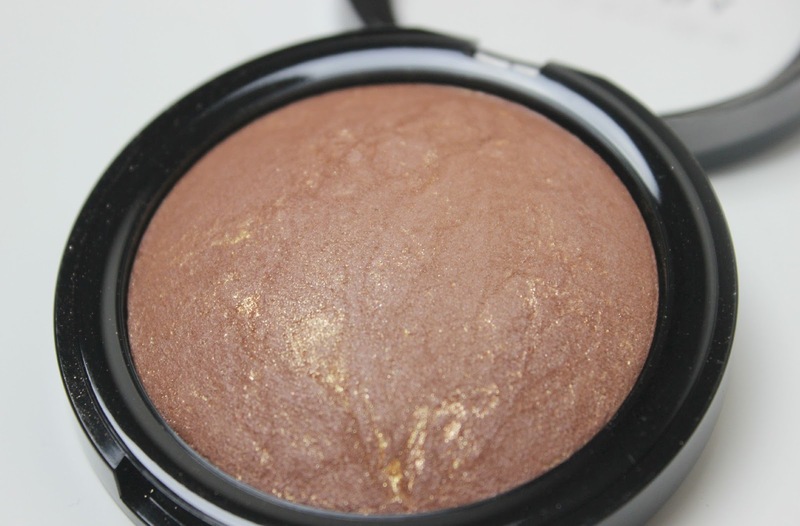 Even better for all you cruelty free fans out there - this beautiful bronzer is absolutely cruelty free! Available at Beauty Crowd, £14.95. I'm so bad at using bronzer, mainly because I'm as pale as a ghost, but this one does look oh so beautiful!